Sometimes you want a lighter meal but one that still packs a punch of flavor and crunch! 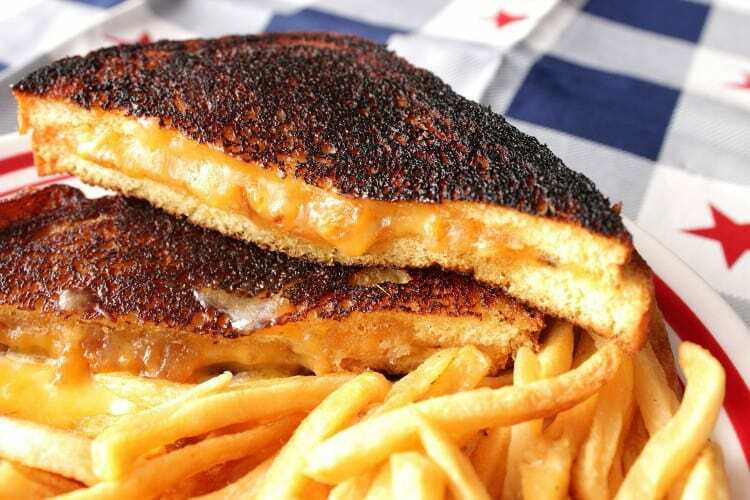 Enter the Grilled Cheddar Cheese Sandwich with Caramelized Apple. 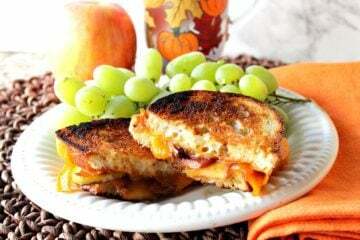 The butter and grilled sourdough bread is just the right touch to sandwich together the melted cheddar cheese and the sweet and tangy caramelized apples. Be still my grilled cheese loving heart!! 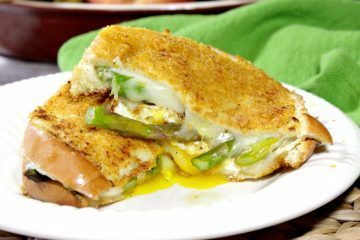 With April being national grilled cheese month, I wanted to come up with a sandwich that was both unusual and special. When I told my husband that I was going to make Prosciutto, Melon & Provolone Grilled Cheese Sandwiches, he was less than thrilled…he even said they sounded “gross”.